The second running of the Coates & Seely Fillies’ Handicap Stakes was run in brilliant sunshine, against the usual rolling chalk downlands of Goodwood in the background, on the 8th June. Ian Williams-trained Pretty Jewel came out victorious in a thrilling finish, cheered on by most of the Coates & Seely box-guests who had backed the winner. 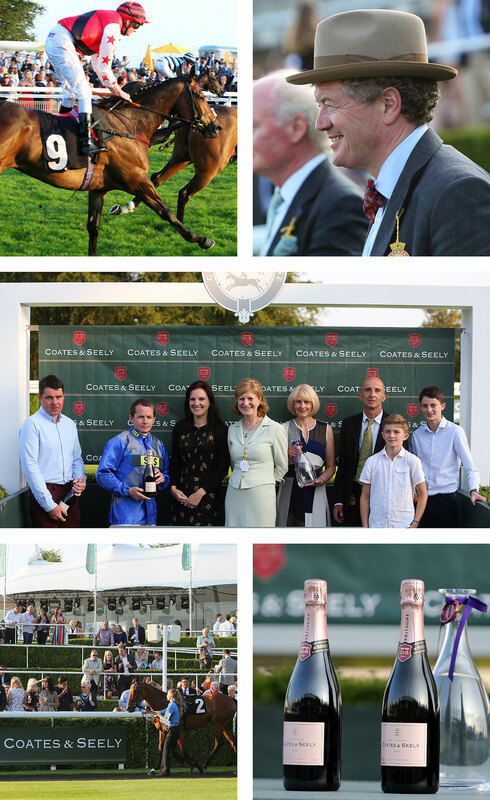 The celebrations, fuelled with copious quantities of Coates & Seely sparkling wines, continued deep into the evening as Example took centre stage in the parade ring and entertained thousands of race-goers long into the night.